Nasal endoscopy is an examination of the nose, throat and larynx (voice box) using a thin flexible tube camera passed through the nose. This device is called an endoscope. 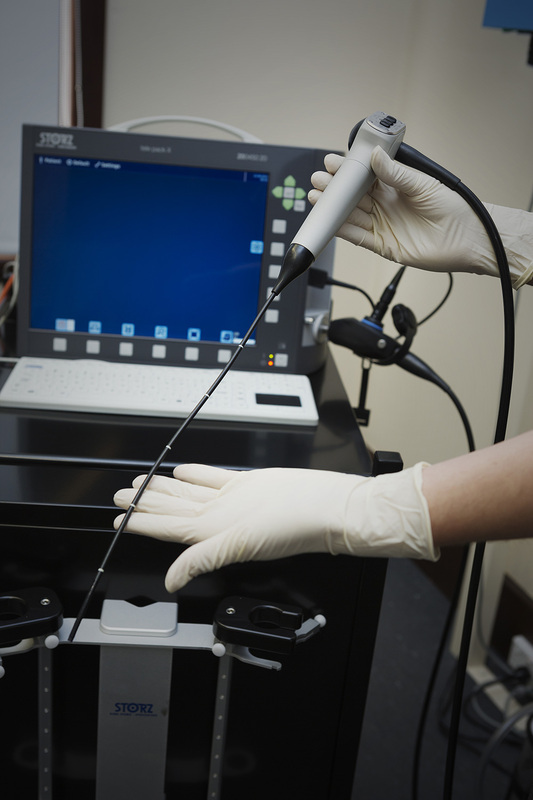 This is similar to the endoscope used to examine the stomach (gastroscopy) or bowel (colonoscopy), but the nasal endoscope is very thin (4mm). Nasal endoscopy may be used if you have a blocked nose, change in voice or snoring. The examination is done with the patient awake and sitting upright in a chair. The nose is sprayed with a local anaesthetic. The spray is bitter and runs from the nose into the throat. It takes 2-5 minutes to work and lasts for 20 minutes. This medication does not cause drowsiness. You will be able to drink, eat, drive and work immediately after the procedure. The endoscope is passed through the nostril into the nose. It is then passed from the nose into the throat and then to the voice box. The surgeon may ask you to poke out the tongue, protrude the jaw, speak, sing, swallow or cough to demonstrate different parts of the throat and different movements of the vocal cords. The endoscope is attached to a computer screen to allow you to watch the procedure. 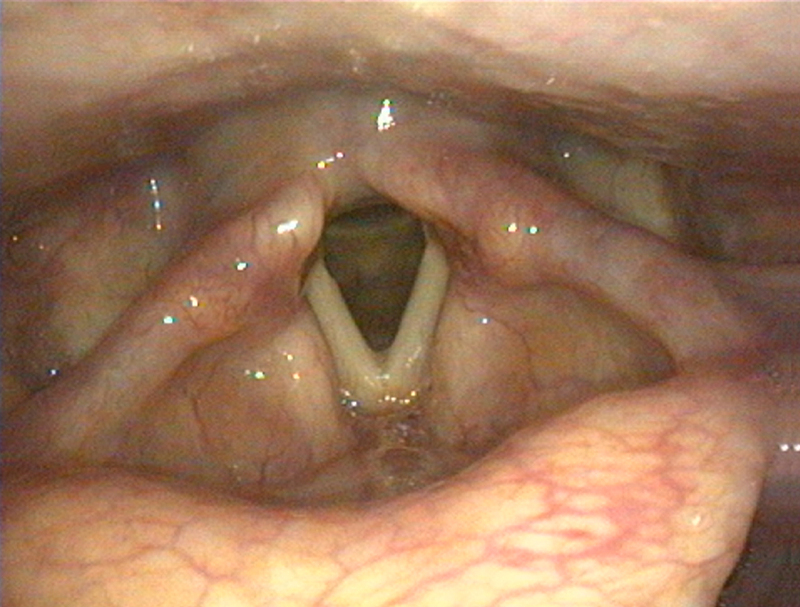 Many patients are fascinated to see what the inside of their throat looks like and particularly to see how the vocal cords move with speech. Photos may be taken. These will be saved in your confidential medical record and you can request an image to be emailed to you if desired. After the procedure the photos are used to help explain what was seen and also to allow comparison over time. Photos may also be emailed to your speech therapist. Sit up and forward with the chin out. This is called the sniffing position, as if you were leaning forward to smell a rose. Breathe regularly and deeply. Don’t hold your breath. Keep your head still by looking at the screen or at the wall above the screen. Talk to the surgeon and nurse during the examination to let them know how you are feeling.